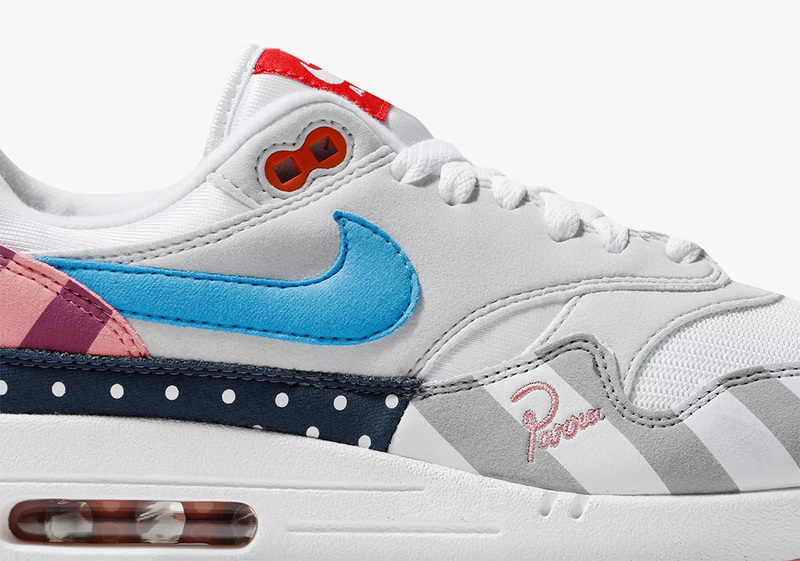 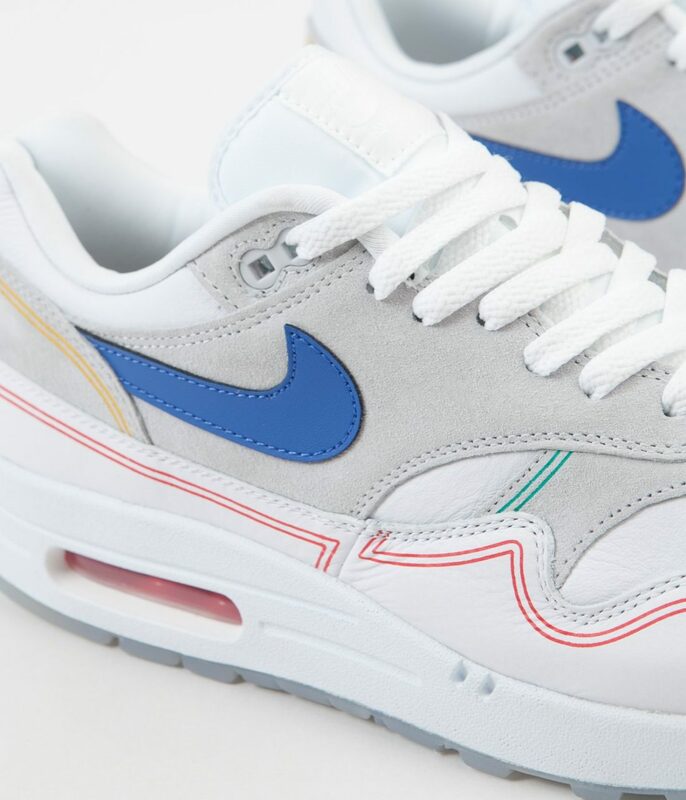 Thursday 20th September welcomed something special from Nike with the AM1 Pompidou pack. 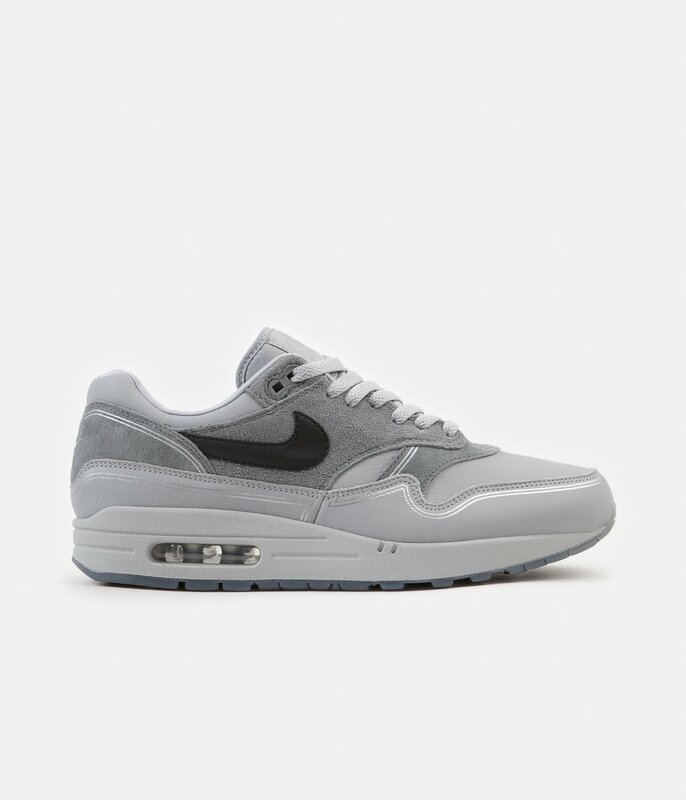 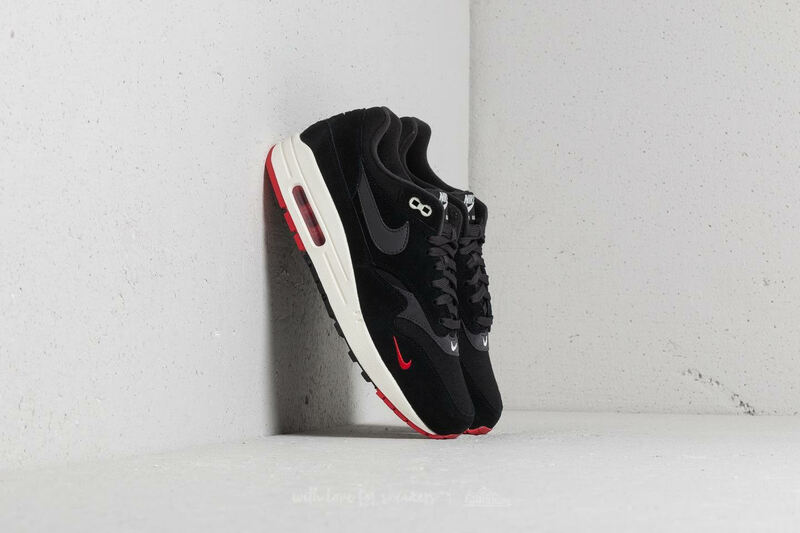 Known for its ground-breaking inside-out aesthetic, the Centre Pompidou in Paris is not only the inspiration behind the colourways of this AM1 drop, the iconic piece of architecture also formed the muse behind Tinker Hatfield’s most innovative brainwave of visible air cushioning and the AM1 silhouette. 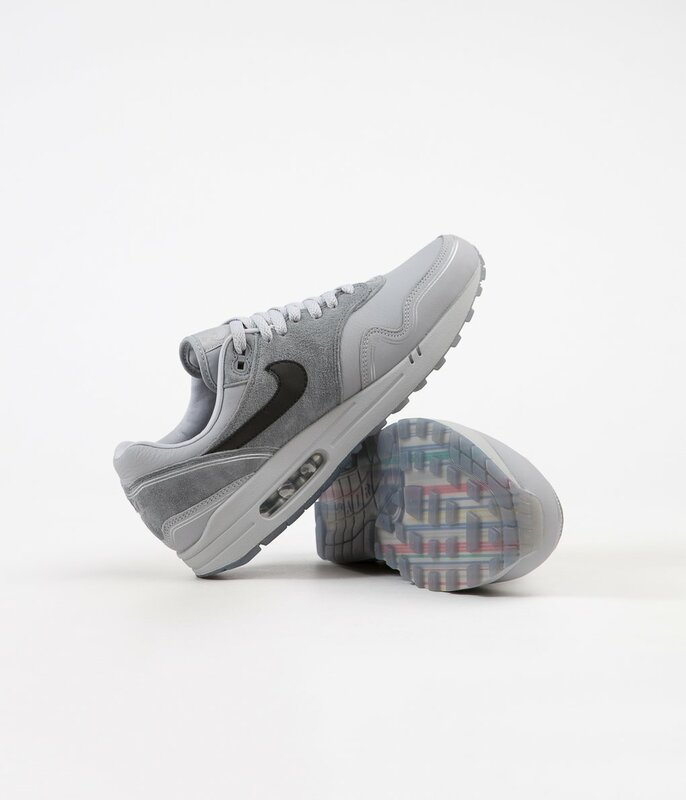 Nike bring two colourways to this AM1 pack – “By night” – a premium runner, indicative of the stripped back greyscale colouring of the building and “By day” – a fresh and quality nod to the linear coloured piping that run along the facade of the Pompidou, this “By day” colourway is a new and huge personal favourite and therefore builds the focus of this month’s Crepe Check. 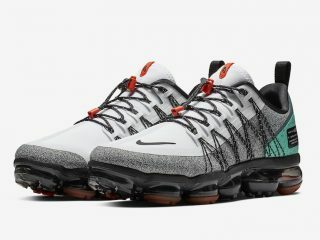 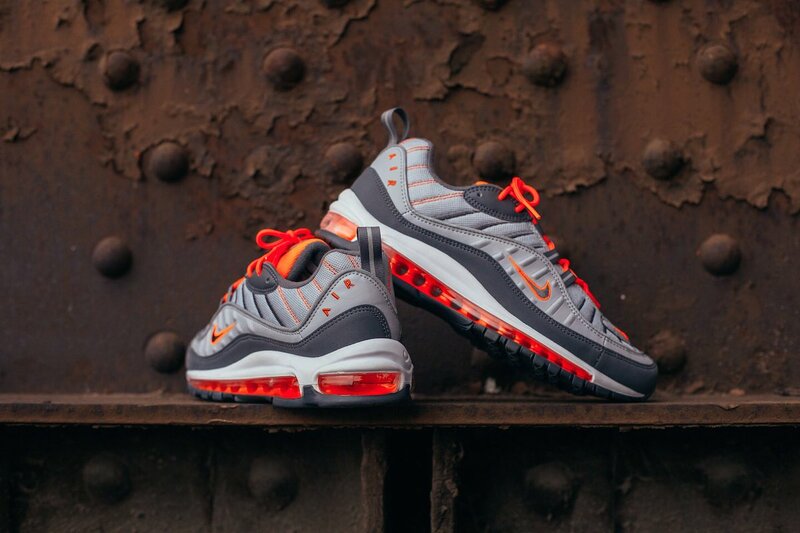 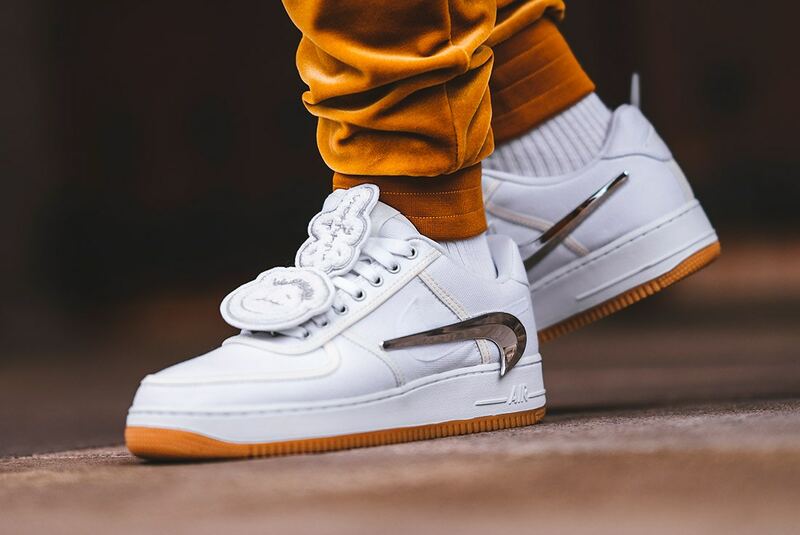 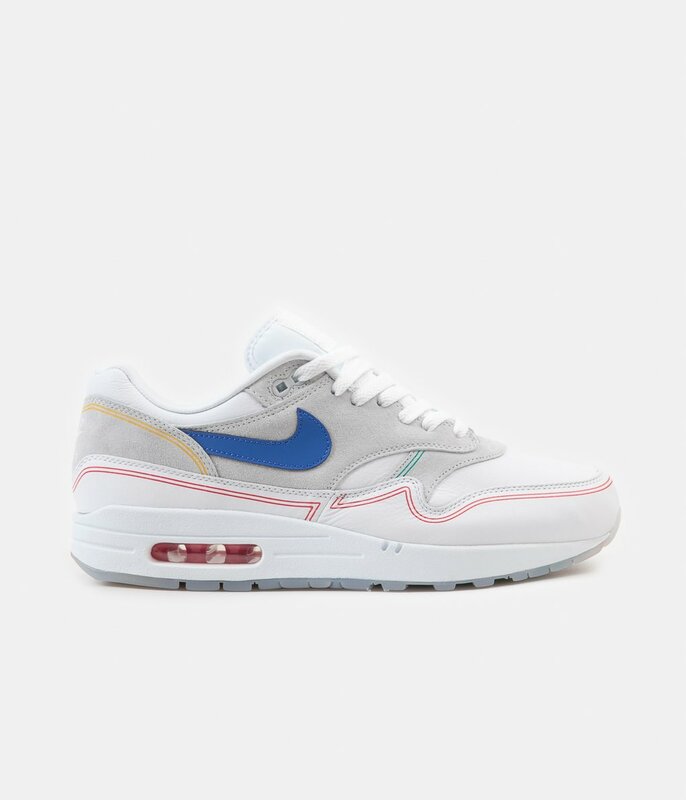 A mix of premium leather and breathable mesh panels are used to form the base of this one with red, blue and yellow lines that grace the contours of the runner, reinforcing the references Nike give to 1970’s architects, Renzo Piano and Richard Rogers’ work. 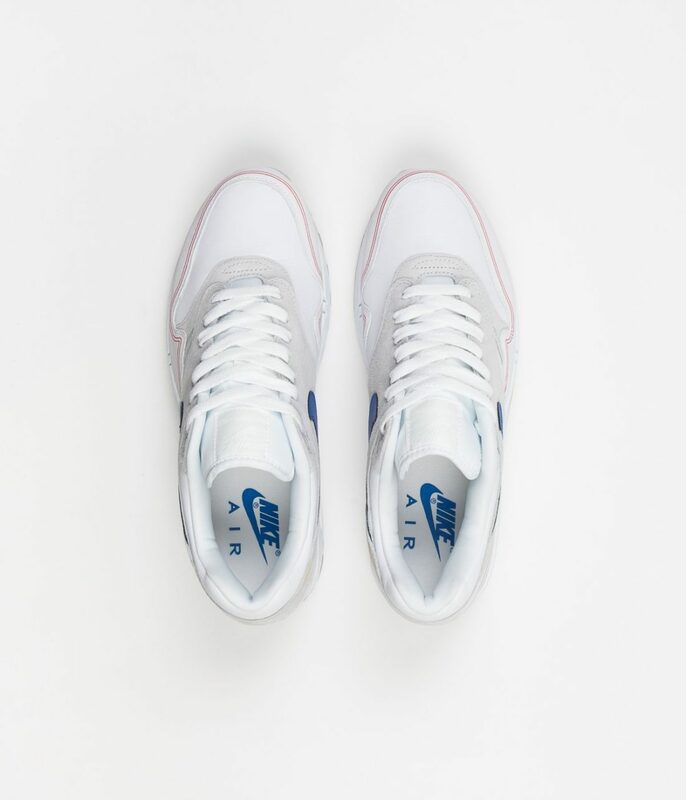 A vibrant royal blue swoosh is placed upon the suede overlays creating a subtle yet striking look that Nike do so well. 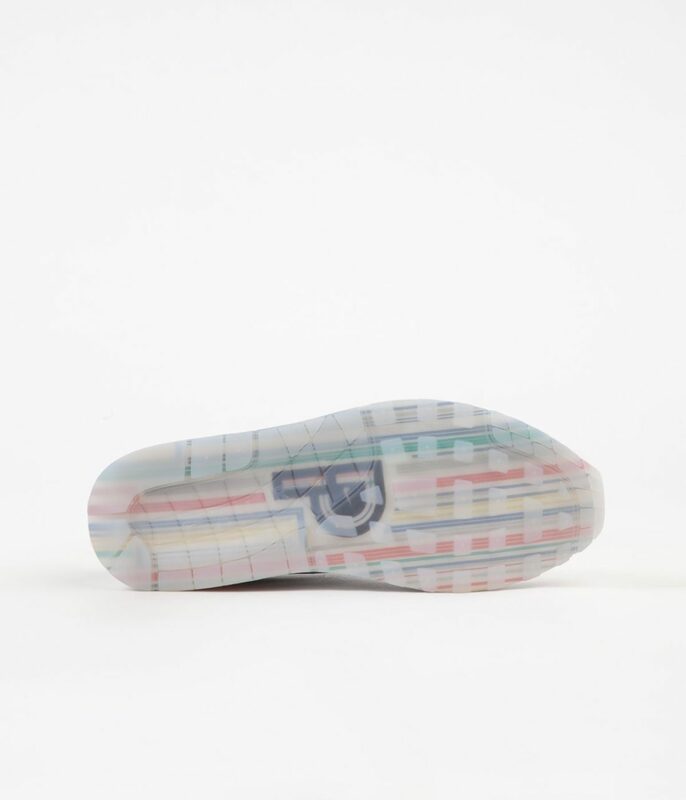 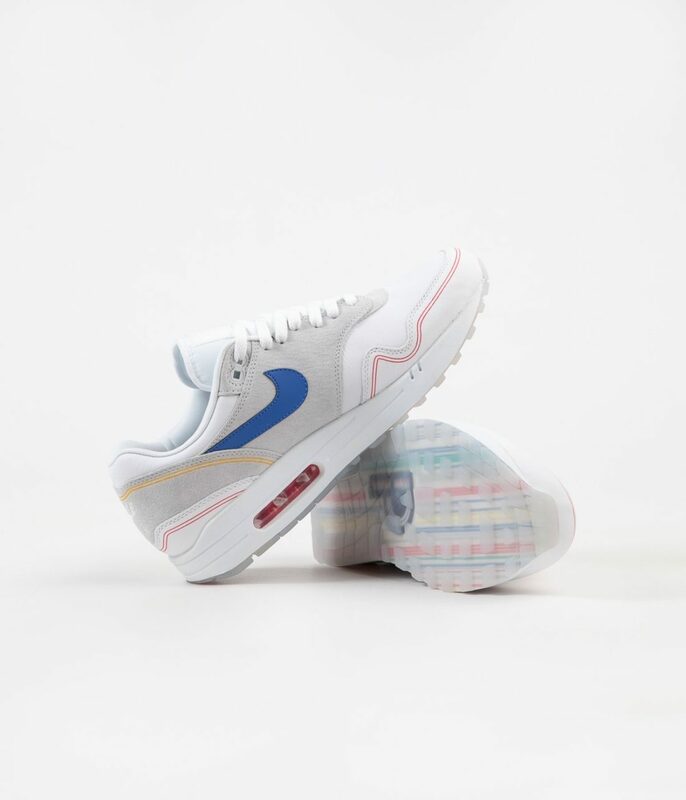 Finally, a transparent outsole reveals continuing coloured linear patterns with a large “P” logo taking centre stage and paying homage to the building and the inspiration behind the design of the AM1. 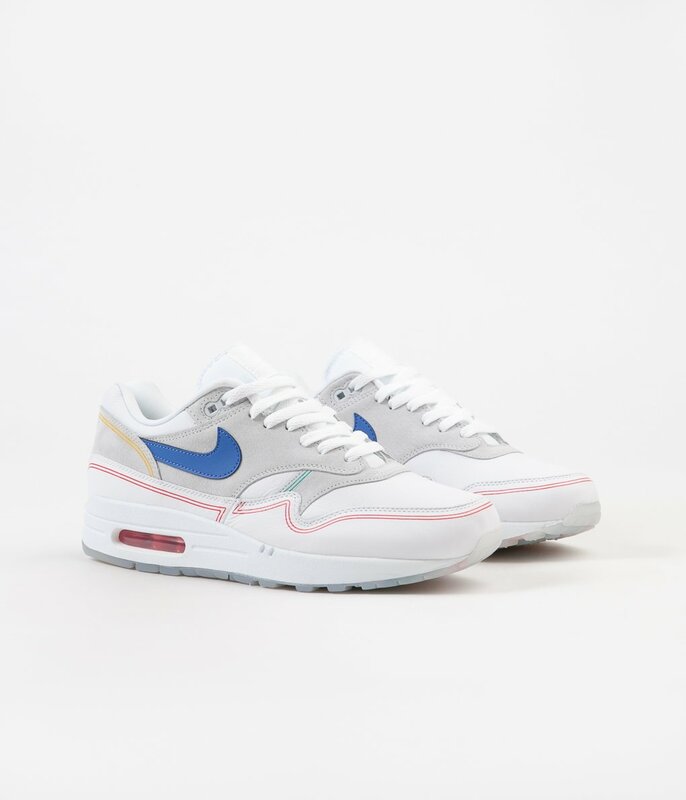 Nike take us on a journey through the next stages of the AM1’s legacy at the same time as imprinting its structural roots with this drop – don’t forget to peep the “By night” colourway and cop a pair of these!